Q: Tell us the story of how you fell in love? A: WELL…. Catie came to Missouri to visit her sister who had moved here with her now Husband. The first night, her sister and brother in law invited Jake & Kyle over (they were actually intending for Catie & Kyle to hit it off)- However, Catie’s eyes were only on Jake. Kyle and Jake got a firecall and sped off in Jake’s truck. Catie’s brother in law was a police officer in that town at the time, so Catie hopped in and rode to the car accident scene. Once on the scene, Catie stayed in the police car. While sitting in the car some good looking fireman came walking up to the fire truck parked right behind where Catie was. 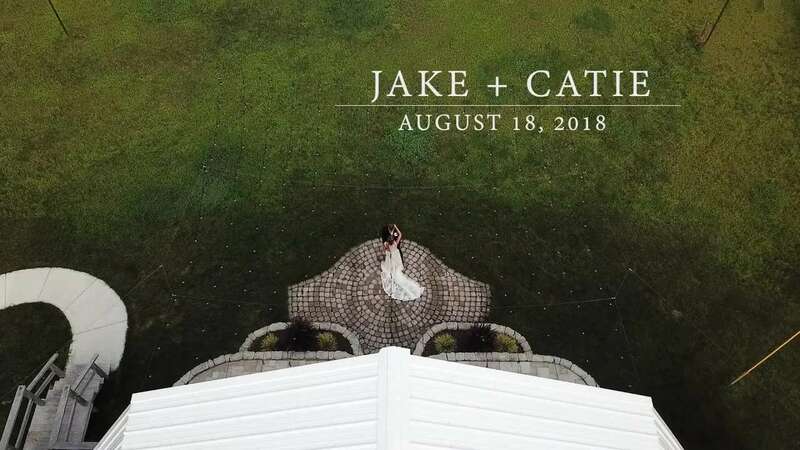 Jake and Catie’s eyes latched- Jake had the most flattering smirk upon his face- it was like time stood still- and that is where love at first site began…. The rest is all history…..
Q: How did Jake Propose? Q: Where was the dress purchased from? A: It was an Essense of Australia dress from The Bridal Shoppe in Festus. Q: What were your centerpieces like? A: We had a rustic theme, centerpieces sat on top of wood pieces. Each had a hand painted mason jar with flowers inside, a table number in a gold frame, spray painted tea light candle and a small glass mason jar with a tea light candle inside. Q: Who made the cake and catered? A: Jennifer Francis made the cake and it was tiered with three different flavors; carrot cake, white chocolate with raspberry mousse, and marble with salted caramel filling. Our caterer was Bowtie Catering- tasted them at a prior wedding and everyone remembers the food! Applause Weddings is so much more than just a DJ service. With a Round of Applause package we also include videography, photobooth, uplighting, and a custom monogram. With such a great bundle deal, our goal is simplify the planning process for you as well as we can!